Added two panels in the corners of the map viewport, displaying hex terrain and unit info for the hex and/or unit that is currently under the mouse cursor. 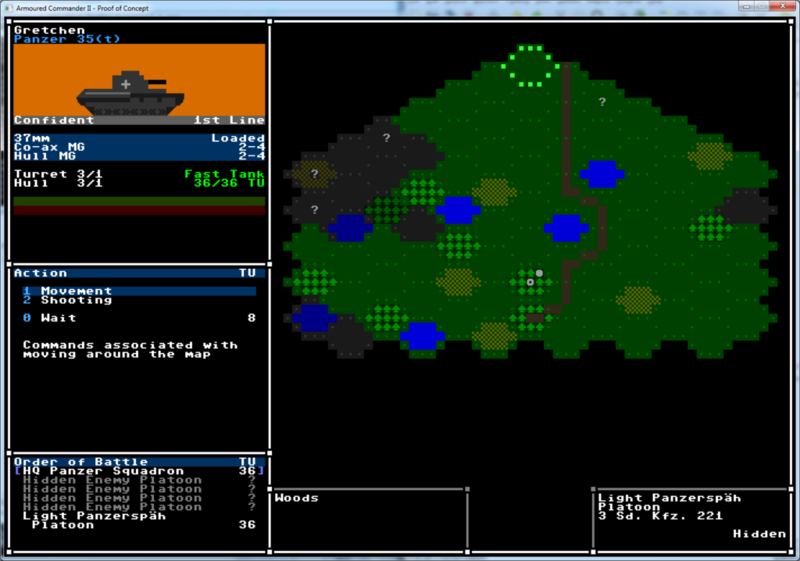 Also refactored the map system so that multiple units on the same side can occupy the same hex. Up to 5 PSGs can be in the same hex, although there will be a total stacking limit enforced for the number of steps in these units. This does allow for ‘stacks of death’, but future area effect attacks will of course effect all units within a given hex, so there is a real danger to doing this. It also makes moving units around the map much more flexible, since you and the AI don’t have to worry about avoiding hexes occupied by allied units any more.